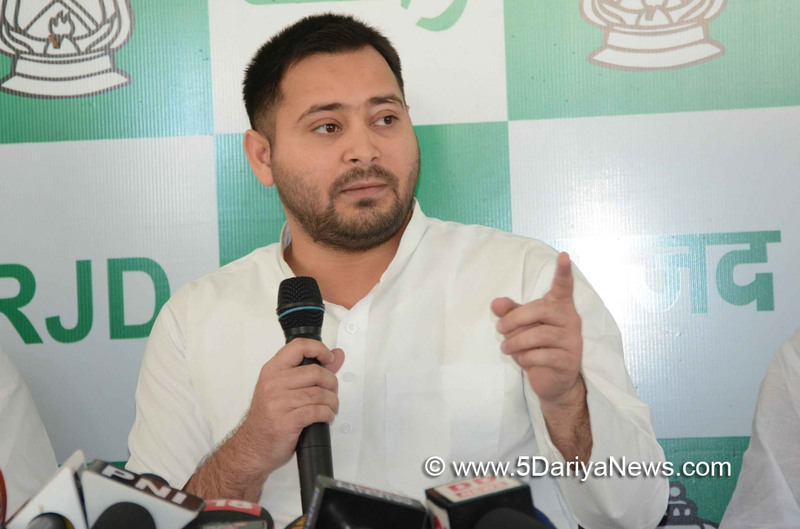 Hitting back at the Bihar Chief Minister over dynastic politics taunt, RJD leader Tejashwi Yadav on Tuesday asked Nitish Kumar to give an affidavit that his son will never join politics in future. "If Nitish Kumar has any morality or will power, he should say in an affidavit that his son will never join politics," the former Deputy Chief Minister tweeted.Earlier, Nitish Kumar took a dig at Tejashwi Yadav -- without naming him -- for entering politics due to dynastic politics.Speaking at an event at the Janata Dal-United's youth wing here, the Chief Minister remarked that "some youths have entered politics, thanks to their family legacy, and not by working in the field for years.Said Tejashwi, the younger son of Rashtriya Janata Dal chief Lalu Prasad: "No one believe you (Nitish) and are fully aware of your tendency to make U-turns on anything. "Nitish Kumar's only son Nishant Kumar has repeatedly said that he has no interest in politics.